This is at the top here to explain some things about Costa. Costa is a "pan-European cruise line" meaning they cater to the European continent; Italian, French, German, Spanish and British. Like European TV, they present most things like announcements and entertainment, in five languages so everyone understand. Europeans are very used to this, but it seems odd to Americans. Your waiter will speak English and your menu will be in English. However, the food will cooked for a more European palate which can mean a lot of different things. The cruise line is owned by Carnival and the ships are identical to Carnival ships in floorplan. The onboard decor is similar to Carnival as well but every ship has a different theme (just like all Carnival ships have different themes) They use the same interior designer, Joe Farcus. If you go on Costa Atlantica you will see it is identical to Carnival Spirit in layout (not decor). If you go on Costa Fortuna you will see it is a mega-ship identical in floorplan to Carnival Conquest. The staterooms are identical to Carnival, as are the gyms, pools, showrooms, casinos, shops, etc. There are minor differences, some Costa ships have bigger dance floors. The main difference will be the decor, artwork and themes of the ships. They are a little more toned down than Carnival ships but still have the Farcus touch. The onboard experience is geared to Europeans so they have slightly different entertainment and food than an American style ship. But they are similar to Carnival. The biggest difference will be in the food and entertainment. Expect European style pizza and coffee, and don't be surprised if they have lambchops and beans for breakfast. The pasta is said to be very good, but you might find your steak a little well-done. If you are an experienced cruiser with high expectations you probably will see drawbacks in a Costa cruise, such as fewer TV channels in English, and tours where English might even be the second language. Important: keep in mind that the ships present a far more European program when they are sailing in Europe. When they come to the Caribbean, however, they use more of an American model of cruising. Differences: room service choices, tour options, dining times (later in Europe), entertainment. If you are younger, on a budget, and easy going you will probably enjoy Costa as much as any cruise line. Its just a matter of what you are used to and your expectations. Experienced cruisers have different expectations, for younger ones it's a cruise and any cruise is great. Thanks Paul. I did not know this, but was always curious about Costa. Seems like whenever I'm on a cruise, always see a Costa ship...and wonder. Go to our cruise line and ship reviews if you want to know more. I must say, that when I start planning a cruise, Costa never enters my mind as a possibity. I have a very well traveled friend, who had the best cruise ever though,on a Costa ship. Paul is so right about the European influence on Costa. 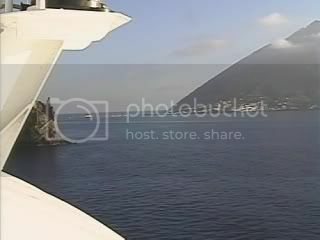 After several Carnival cruises we sailed the Fortuna a few years ago with a group. My husband, I and our close friends cruising with us loved it There were several in the group who said it was ok and would prefer to go back with Carnival. We found the food to be some of the best we'd ever had on a cruise. The staff was the friendliest and so attentive to our needs it amazed us. Smoking was an issue for some as there was a lot of it onboard. It didn't bother us, we just found an area away from the smokers when it was needed. There was loads of dancing available every evening, as it seems that is something that Europeans really like to do. We enjoyed just sitting and watching, it was better than Dancing with the Stars! We would definatly do another Costa cruise in the future, hopefully to Europe the next time. My first cruise ever was 7n eastern on Atlantica. Now I had a blast. I am sure the fact that my father is retired USAF and I basically grew up in Europe has some influence on my enjoyment of the cruise. I was with a TA friend and it was a TA knowledge cruise. Every single one of them kept commenting on the speed (or perceived lack there of) of the service. Felt about right for what I remember dining in Italy or anywhere else in Europe in general. Andrea was the CD at the time, and I found him to be very engaging and entertaining. His star gazing sessions at night were not to be missed. I would certainly consider Costa again if the price and itinerary was right. My opinions are mine and mine alone. They do not represent the opinions of The Walt Disney Company nor any of its subsidiaries. I cruised Costa and really enjoyed it. I felt the food was often better then the blander food on other lines, there was a pasta dish every night with dinner but there was no late night Pizza, unlike Carnival.The line dance classes on deck were amazing seemed the whole ship was dancing, it was a great workout plus you got to learn some dance steps. Least favorite things were the amount of smokers on board and the longest ever life boat drill because it was done in so many languages. Entertainment was interesting because you could hear the singers all had accents. The Toga party was fantastic again the whole ship seemed to participate and we got to vote for the guest talent acts like the Romans thumbs up to keep, thumbs down to feed them to the lions. Feeding them to the lions was hysterical (but I won't give away the secrets here!) Value wise it was cheaper then a Carnival cruise. I don't recall any problems with service. If you like to experience different cultures and are a think outside the box type person, I'd say give them a shot they do a good job! Nice of you to stick up for the Cruise Line since you are paid by them. I am very well travelled and accept, understand errors, shortcomings, from cruise lines and there employee's. This incident regarding Costa and there Captain's is not the first. What is going on regarding the Italian "Captain" training they receive? As a military man I can not understand why again a Captain of a cruise ship would be on shore to watch the ship sink and leave (minor staff) to contend with assisting passengers to safety. 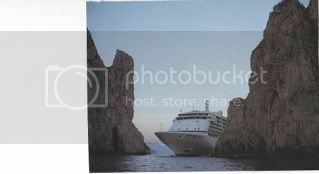 Sorry I have seen mis-behaviour with Captains on MSC Cruise Lines as well it may not be in the nature of running a ship in ROCKS, but enough. God Bless the poor people and there families who have lost there love ones in this terrible disaster. What more can you say I guess I would really think twice about taking this Cruise Line. If you think Italians are bad, you should have seen the days when many lines used Greeks. - Sunglasses after dark, bringing their Harley's on board. When Oceanos sank in 1991 they were the first ones off the ship. I have not sailed with Costa, but have been on MSC, with the European influence. Decor much subdued and elegant, a lot of pasta dishes, but that's not all that is served. Service was good. As an American, the announcements in 5 languages was new to me. The entertainment on my ship (Opera) was superb. Excursions were divided into groups according to what language you spoke. Mingling with others was limited, as each language speaking person segregated themselves in their own groups. If price and itinerary was right, I'd sail Costa. I imagine all rules have severely tightened up, I wonder if even the ocean bottoms will now be explored for potential dangers thus charting new routes to travel. I think rules on smoking are not as loose as they used to be. This surprised me, it used to be European ships were more lenient. Not so anymore! children etc. were on bord as he left ??! he must be drunked or mad . Why Costa gave such big ship to totally crazy person. I can't really beleve in that. I can image how sad and indignant are million of Italian people if it is really so. But captain told in TV he was the last one ... Hopefully it is so. it is really shame : captain of such big ship is extremly important symbol. nevertheless I think Costa Favolosa team was great - I was 2 time with Costa, and I would go in 2 months once more on Costa Favolosa. Celebrity still has Greek Captains and I have found them to be very efficient and friendly. 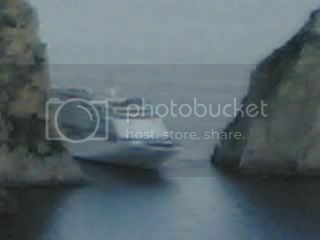 >>Celebrity still has Greek Captains and I have found them to be very efficient >>and friendly. better captain who is bad or nice fellow . It is really a stab in the back the whole west civilization. Or it is allready dead ?! I would say that most "British" people are the least "European" I wouldn't fancy a Costa cruise. BTW on Royal's vessel the Captain was replaced before the end of the trip. He was Scandinavian. On HAL the Captain and !st Officer were British - not impressed. how can the life of 4000 passengers depend on one person ? Ok captain, sure, he is a "bad boy" but I think he was not a really main problem. how can they allow to move the huge ship on strange route ? try to take somewere in Italy a small boat for 2 persons: police would ask you to go only on certain route. on only one person . have they no rools at all ? I have cruised with Costa ,make no mistake this is a Italian cruise line first and last if you are English or American you can feel very out of it even with the english menus which you have to ask for,the surly house front staff will soon remind you that the flag flying at the mast head is Italian,the make up of most cruises on Costa are 60 percent Italian,20 percent French,10 percent German/Dutch and 10percent others,this is what you will find on my cruise out of 4000 there were 100 English. What has happened with the Costa ship hitting the rocks is going to be felt by every cruise line ,the others may well be very well run but when you get management allowing ships to sail past local islands to give the tourists a thrill you have a core problem not just that stupid captain,they say it will cost them $95 million I suggest the real cost will be 10 times that . I would sale Costa. Especially if the price is right. IMHO, whether Italian, Greek, Scandanavian or English, that captain was simply a bonehead. what you forget Golden is that the cruise line have done this stupid thing before and got away with it ,so it is not just the captain it is company policy that was wrong,you cannot run these large ships close to islands like this,the other point I would make is that even now the Italian thought practice is still in full swing,a phone call to the ship was answered by somebody who said to the coastguard it was electrical fault,when the ship had hit the rocks at about 20 knots,also it will be very interesting when Smits start to salvage this ship,as to why are the holes on one side but the ship is over on the other side all new ships have two sides to the hull so that if you hole one side ,you can let water in on the other side to keep it upright while you have the pumps going to balance the ship,of course it may be both sides were ripped open,which I suppose would not be a surprise given the speed,or did costa crew allow to much water into the other side ,another posting has said if the price is right he would go on costa,well the best of luck to you. What we have here is a man who has played games with a big toy for his own ego having most likely turned off the satellite communication so head office can't see how close he is to land. Having dropped a clanger and hitting the rocks he has gone into shell shock. I can see no further gain from picking over the bones of this part of the incident what is still not answered is how the ship got from it's heading, turned and ended up on the rocks. Was it wind and current or did they use the bow thrusters, I have read and seen computer models. I think that she filled with water on the Port side the gash acting like a scoop flooding the compartments this would have created a list to port pumping to the starboard tanks would have stated to keep her upright as she lost momentum the breeze and current would turn her, then I think as she had no power to maneuver she just drifted the short distance to the rocks this would have opened holes in her Starboard that would have flooded more compartments, there was no chance of shifting ballast and se would be doomed to capsize, the only reason she has not gone completely over is the depth of the water that she lays in. This ship does not have a basic design fault she is not top heavy like all things you can't design something that is idiot proof. Let me throw out a few names here: Antonio Vito, Atillo Guerini, Pietro Raiola, Georgio Pomata, Nicolo Bommarco, Marco Forteze, Nicolo Binetti, and Guiseppe Romano. These are some of the Captains I've sailed with on PRINCESS CRUISES. So, let's not jump to conclusions on the abilities of certain nationalities. The Italians have a proud and stellar tradition of maritime success. After all, that Columbus guy did pretty well, didn't he? Just the opinion of one Belgian. I agree with Belgique--- I think to say because the Captain of the ship was Italian and caused the problem because he is Italian is doing a disservice to the Italian people in general. This particular Captain simply didn't have what it takes to be in command of a ship---period. And Costa , his employer, should have known this well before the problem occurred. Costa is going to have to be held accountable as when you have someone in charge of a ship like this with over 4200 lives aboard and that person is incompetent there's not much of an excuse on Costa's part for not knowing he wasn't capable of doing the job. Condemn the man and what he did-- don't paint all the Italian seafarers with a wide brush as all being bad. What if he had been Polish--would we say it happened because the Captain was Polish? Or, what if the Captain was a woman--would we say it happened because the Captain was a woman, or simply say the lady Captain was incompetent for the job? they din'T prevent capitan to take his own route (4- 5 times). that is the point . Paul .. Hope you do not mind me adding pics here? people seem to think that Costa are the only line to do sail/fly bys.... proof that others do it to but have got away with it. It seems that many people cannot understand or accept that Schettino may well have been in severe shock after realising what had happened and one reason that the coastguard was shouting at him to try to get him out of it! I love the smell of Jet fuel in the mornings! We sailed on the Costa Deliziosa over xmas 2011 from Savona it was a very good cruise and yes we were in the minority with Americans but that did not prove to be a problem, we had an issue with our obc but that was sorted out very quickly by Sabrina from Germany. There were many kids onboard and they were the most well behaved ones we have come across on all of our 7 cruises. Costa are different and once you accept that and go with the flow there really are no problems apart from the ones you create for yourself. Having sailed with Costa 5 times and with another booked for next year...I happen to prefer the line to the others I have tried (P&O, Olsen, NCL, Cunard). As a solo, they cannot be beaten for price...especially on longer cruises. Half the fleet has dedicated solo cabins with no supplement and the ships that don't have solo cabins I pay a maximum of 30% supplement. I love the variety of itineraries....I hate the Caribbean, been there, done that I never want to return. Middle East, Far East & South America are my favourite regions and so far Costa have never disappointed on itinerary in those regions. I also love the cosmopolitan feel on board the ships...having sailed with predominantly British and/or American passengers on other lines...mixing with other nationalities & cultures is a wonderful experience...you can learn so much about people and even if they don't speak perfect English, you can still hold a conversation if you try hard enough. The food on any cruise line is enormously selective, often due to where you come from and what you feel that you should expect....I have no problems with the choices or quality on Costa...one of my favourites is their lamb curry, which is so wonderful I asked for it specially for the last night of my most recent cruise...it was to die for...perfection on a plate! I personally feel that people often try a line with too many preconceived ideas...totally wrong way to go about it IMHO. Go with an open mind and remember that you are not sailing on a British or American orientated cruise line and just enjoy yourself.